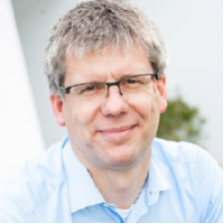 Dr. Carsten Stöcker is the Machine Economy Innovation Lighthouse Lead at innogy SE, and a co-founder of “Genesis of Things.” He is a physicist by training with a Ph.D. from University of Aachen. He also serves as a Council Member of Global Future Network for the World Economic Forum. Prior to joining innogy SE, Dr. Stöcker worked for the German Aerospace Center (DLR) and Accenture GmbH.